Never before has Stäubli traveled to Hannover with such a wide range of solutions to exhibit. 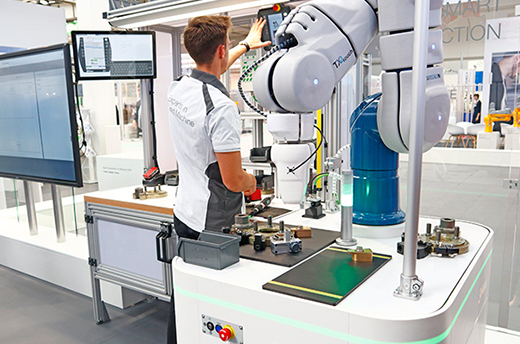 For the first time, Robotics, Fluid Connectors, Electrical Connectors and the newest group member Stäubli WFT combined their expertise at a jointly stand. Robotics showcased our additions to the latest TS2 SCARA series, as well as advanced solutions for Smart Production, this includes the collaborative six-axis TX2 and the HelMo mobile robot. Stäubli WFT demonstrated various self-propelled platforms and driverless transport systems showcasing their outstanding precision and manoeuvrability. Fluid Connectors unveiled the MPS 631 tool change system for robots and had their current quick-coupling and multi-coupling ranges on display. 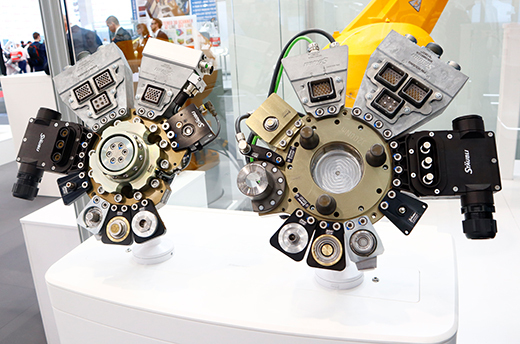 While Stäubli Electrical Connectors presented their modular CombiTac system and an array of perfect solutions for all your industrial automation applications. 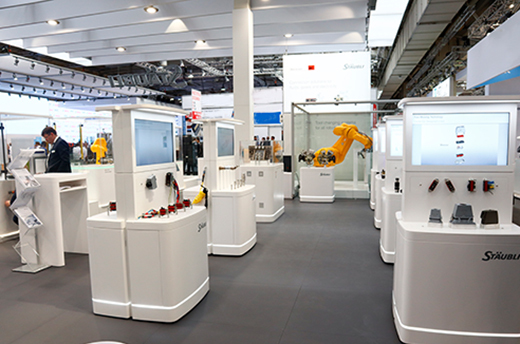 Stäubli says thank you to all visitors of Hannover Messe 2019.